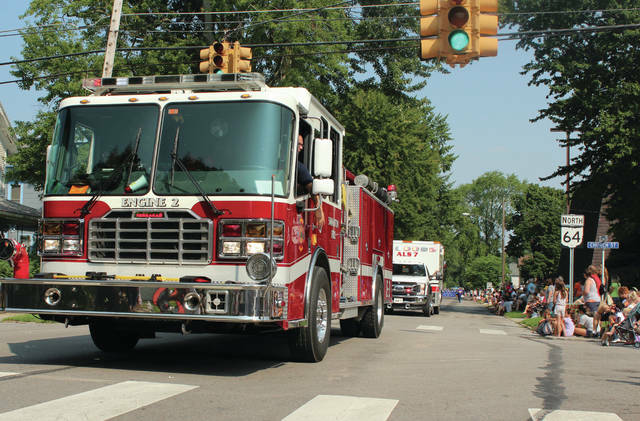 Swanton Fire and Rescue vehicles head down Main Street during the parade. 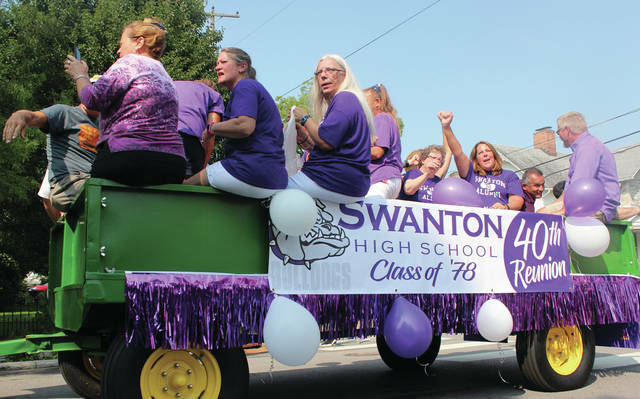 The Swanton High School Class of 1978 rides in the parade on Saturday. 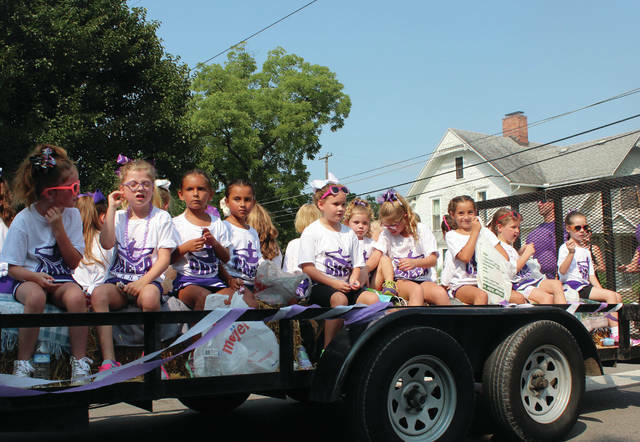 Young Swanton cheerleaders travel down Main Street. The Tri-County Block & Brick entry featured piglets. The Swanton golf team rides with the trophy they won at last week’s Detwiler Invitational. 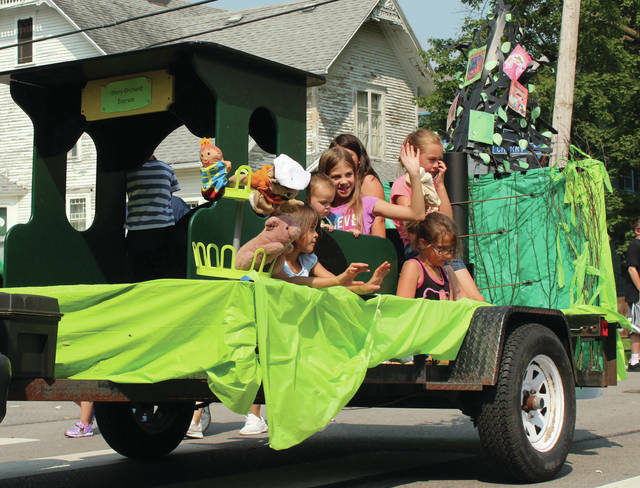 The First Federal Savings and Loan of Delta’s Swanton branch won the float competition. Local Scouts walk the parade route tossing out candy. The Swanton boys soccer team. Holy Trinity’s float featured music. Story Orchard Express heads down Main Street. Mike Rochelle flips burgers at the Rotary Club stand during the Corn Festival on Saturday. 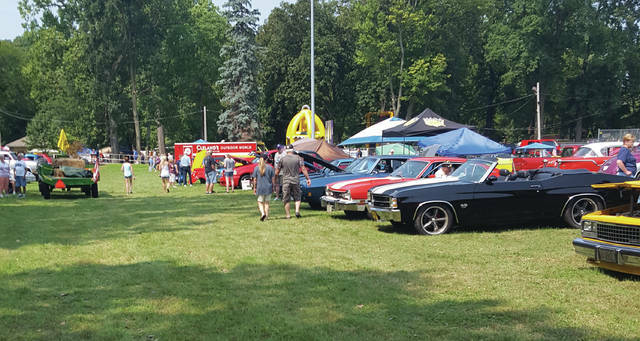 A car show was once again featured at the Corn Festival. https://www.swantonenterprise.com/wp-content/uploads/sites/23/2018/08/web1_Swanton-Fire-Rescue-Corn.jpgSwanton Fire and Rescue vehicles head down Main Street during the parade. 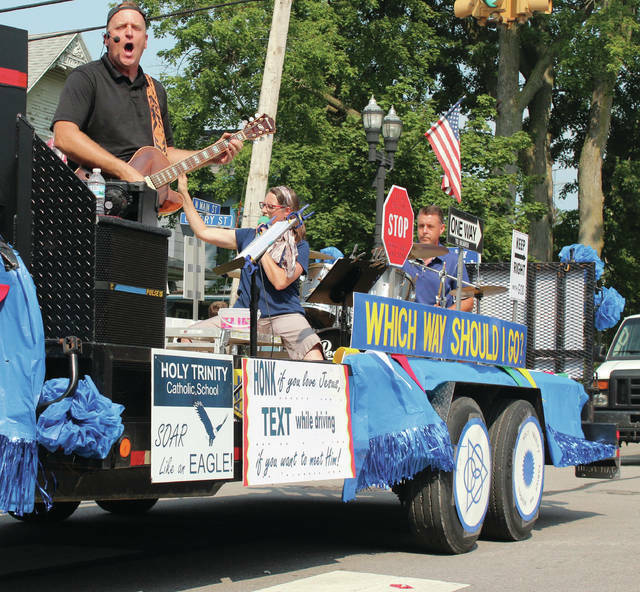 https://www.swantonenterprise.com/wp-content/uploads/sites/23/2018/08/web1_Class-of-78-float.jpgThe Swanton High School Class of 1978 rides in the parade on Saturday. 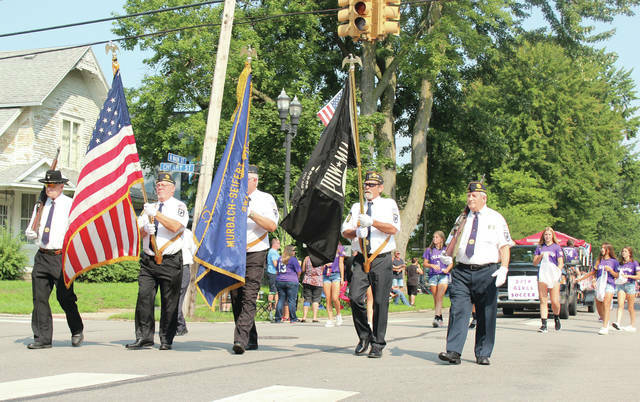 https://www.swantonenterprise.com/wp-content/uploads/sites/23/2018/08/web1_Lil-Cheer-Swanton-Corn.jpgYoung Swanton cheerleaders travel down Main Street. 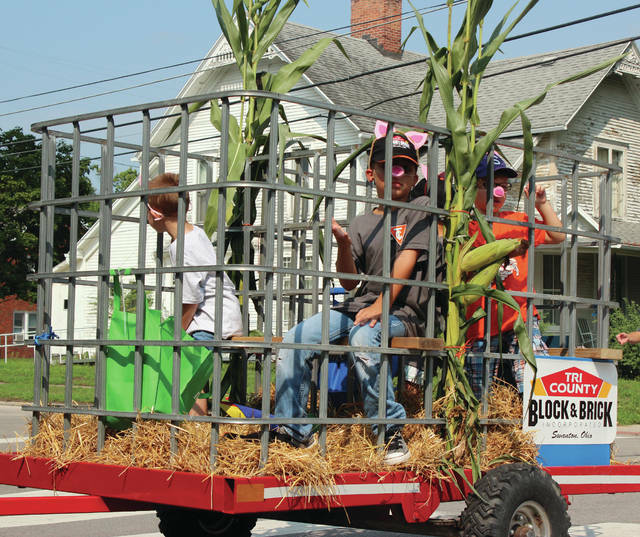 https://www.swantonenterprise.com/wp-content/uploads/sites/23/2018/08/web1_Tri-County-FLoat-Corn.jpgThe Tri-County Block & Brick entry featured piglets. https://www.swantonenterprise.com/wp-content/uploads/sites/23/2018/08/web1_SHS-golf-COrn-Fest.jpgThe Swanton golf team rides with the trophy they won at last week’s Detwiler Invitational. 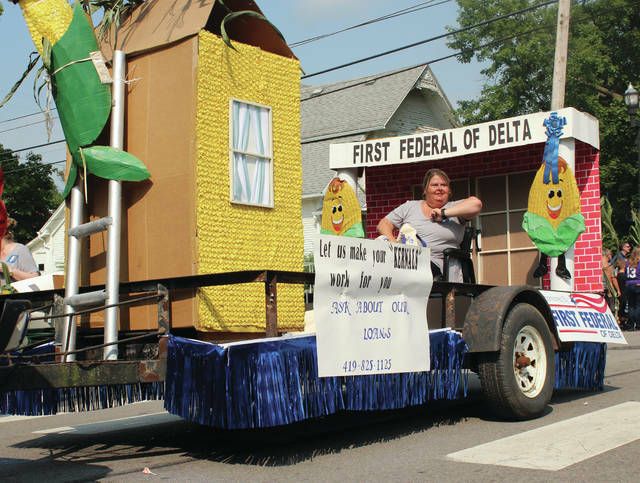 https://www.swantonenterprise.com/wp-content/uploads/sites/23/2018/08/web1_First-Fed-Float-Winner.jpgThe First Federal Savings and Loan of Delta’s Swanton branch won the float competition. 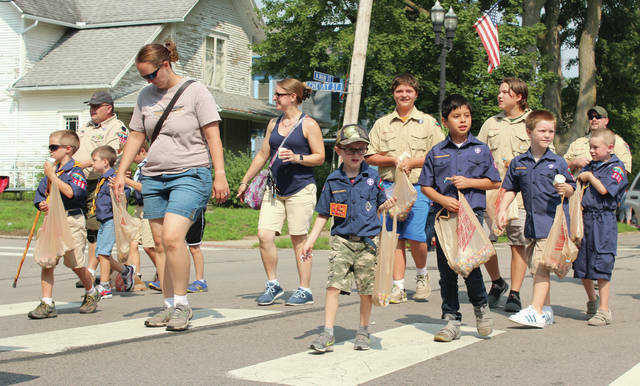 https://www.swantonenterprise.com/wp-content/uploads/sites/23/2018/08/web1_Scouts-parade-corn.jpgLocal Scouts walk the parade route tossing out candy. https://www.swantonenterprise.com/wp-content/uploads/sites/23/2018/08/web1_Boys-soccer-fgloat.jpgThe Swanton boys soccer team. https://www.swantonenterprise.com/wp-content/uploads/sites/23/2018/08/web1_Holy-Trinity-Float.jpgHoly Trinity’s float featured music. 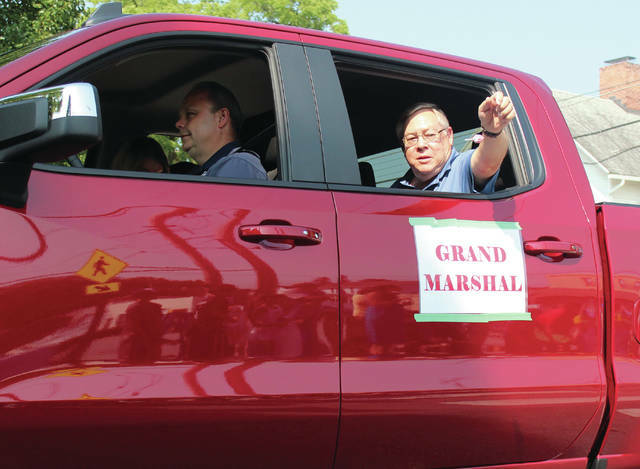 https://www.swantonenterprise.com/wp-content/uploads/sites/23/2018/08/web1_Story-ORchard-Express.jpgStory Orchard Express heads down Main Street. 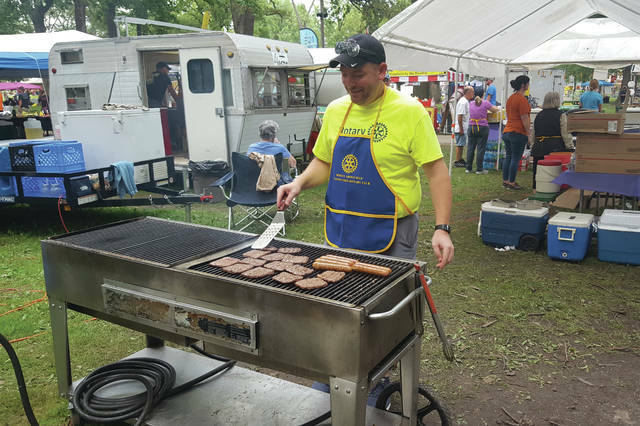 https://www.swantonenterprise.com/wp-content/uploads/sites/23/2018/08/web1_Rochelle-Rotary.jpgMike Rochelle flips burgers at the Rotary Club stand during the Corn Festival on Saturday. https://www.swantonenterprise.com/wp-content/uploads/sites/23/2018/08/web1_Car-Show.jpgA car show was once again featured at the Corn Festival.